Train on the IRT Pelham Line crossing the Bronx River Bridge. Photo by David Tropiansky, February 2012. The IRT Pelham line is a Dual Contracts era extension of the East Side IRT line. 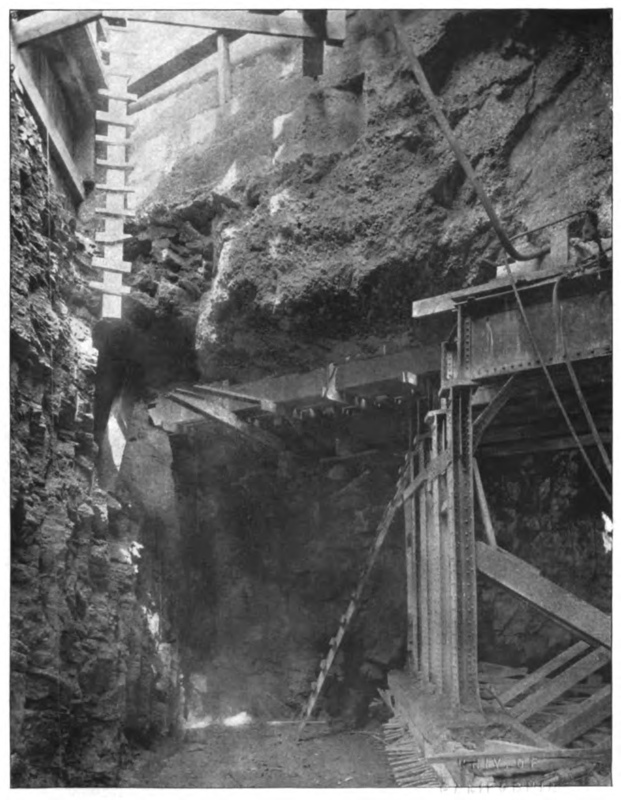 It is partially in tunnel and partially an elevated structure. 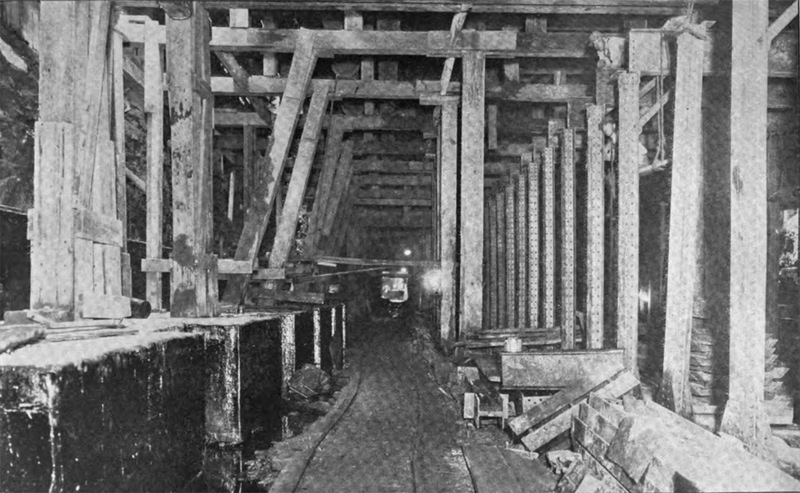 Like the later Concourse Line, the tunnel section is three tracks (these are the only two such three track tunnels in the system). The elevated portion is a standard three-track structure like nearly all of the other elevated lines in New York. The center track is used for peak direction express "Diamond 6" service similar to the peak direction service on the 2, 5, and 7 lines. The tunnel segment stations are decorated with colorful mosaic friezes, initial/numeral tablets, and full name tablets. These are similar but not as intricate as the ones on the BMT Canarsie Line. The mosaics are in good shape but perhaps slightly ignored, and they could all use a general cleaning and freshening up. Fortunately, the MTA no longer covers up the old mosaics when renovating stations and when the time comes to renovate the Pelham Line stations, the mosaics should be restored to their original condition. The tunnel stations also have later platform extensions decorated in the plain subway tile typical of the platform extensions on the IRT. The elevated portion of the line has seen many stations renovated in the period 2010-2011, and those that have been renovated feature artwork installations along the platforms. This is a three-track line, partly in subway and partly an elevated structure, and is a continuation of the easterly branch of Section no. 15 of Route no. 5. It extends from a point near Alexander avenue easterly along 138th street and Southern boulevard, Whitlock and Westchester avenues to Pelham Bay park, and is known as Routes Nos. 19 and 22. It is divided for convenience of construction into three sections, known as Nos. 1, 1-A and 2. Routes Nos. 19 and 22, Section No. 1. 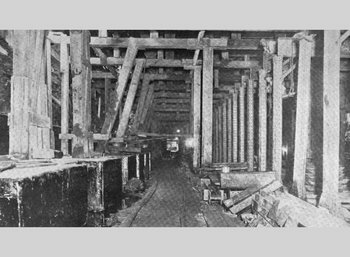 — A three-track subway extending from about Alexander avenue under 138th street and Southern boulevard to about 147th street. This contract was originally let to the John F. Stevens Construction Company, the contract later being assigned to the Richard Carvel Company. Date of contract, October 22, 1912. Contract period, 40 months, extended to August 22, 1916. Summary of contractor's bid, $2,253,281.75. 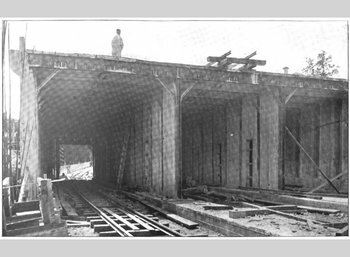 The working drawings were completed prior to 1916. Routes Nos. 19 and 22, Section No. 1-A. 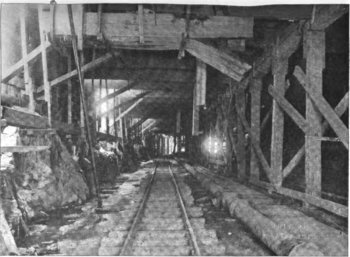 — A three-track subway under Southern boulevard and Whitlock avenue, from about 147th street to Bancroft street. 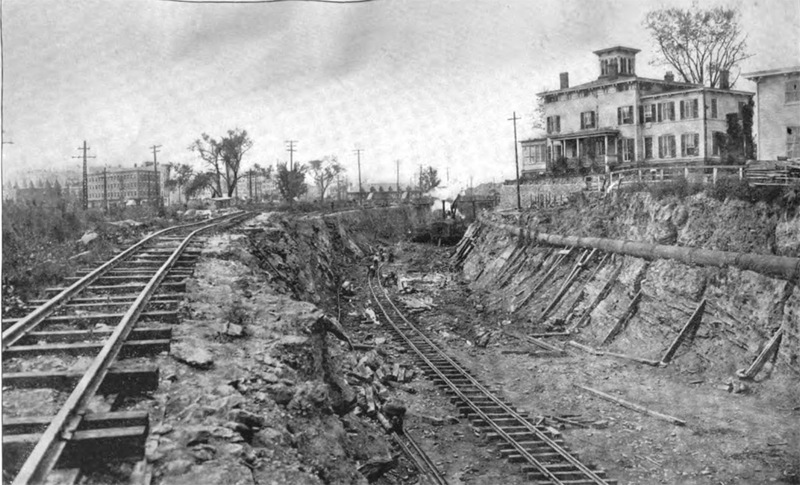 Near the latter point the tracks ascend to an embankment to make connection with the elevated railroad construction of Section No. 2 of this route. Rodgers & Hagerty, Incorporated, contractors. Date of contract, December 31, 1913. Contract period, 30 months, extended to January 1, 1917. Summary of contractor's bid, $2,253,000. 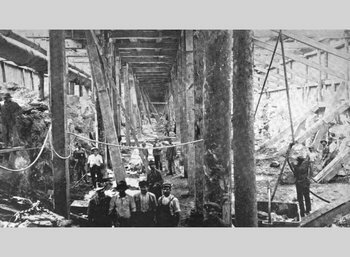 The working drawings and checking of shop drawings were completed prior to 1916, except those required to meet contingencies which arose during construction. Routes Nos. 19 and 22, Section No. 2. — A three-track elevated line, over Whitlock and Westchester avenues from Bancroft street to Eastern boulevard at Pelham Bay park. The working drawings have been prepared during the year and a portion of the shop drawings checked. 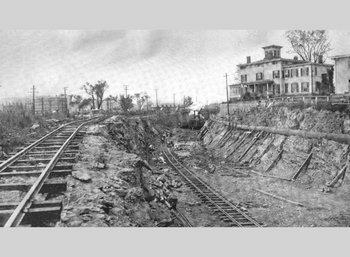 The line crosses over the tracks of the New Haven Railroad at Westchester avenue, and also over the Bronx river, which is a navigable stream at this point. The War Department has issued a permit for the construction of a fixed bridge over this stream instead of a draw which had been originally proposed. The permit for the construction of this bridge provides for a clear headroom of 61 feet above mean high water. Ornamental concrete stations are to be built at three points on this line, namely, at the Hugh J. Grant circle at the intersection of 177th street and Westchester avenue; at Westchester square and at the terminal station at Pelham Bay park. Contractor, Mr. Lawrence C. Manuell. Date of contract. May 5, 1916. Contract period, 18 months. Summary of contractor's bid, $2,063,877.50. The contract has been assigned as follows: To the American Bridge Company for furnishing steel, and to the Flick-Manuell Construction Company for the remainder of the contract. Preliminary plans have been made for a yard on this section, but exact location has not been determined. Pelham Bay Park Branch. Cypress Avenue station. 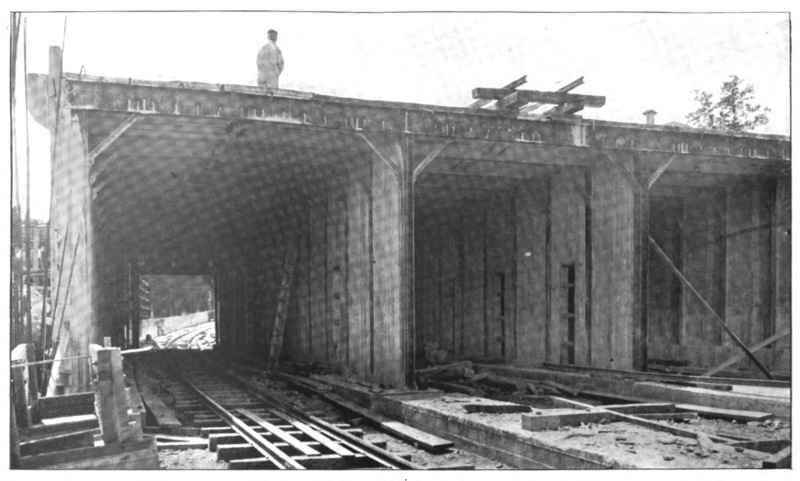 Roadway support, steel partially erected, and station platform under construction. PSC report 1914. Pelham Bay Park Branch. Method of street support, Southern Boulevard near Leggett Avenue. PSC report 1914. Pelham Bay Park Branch. 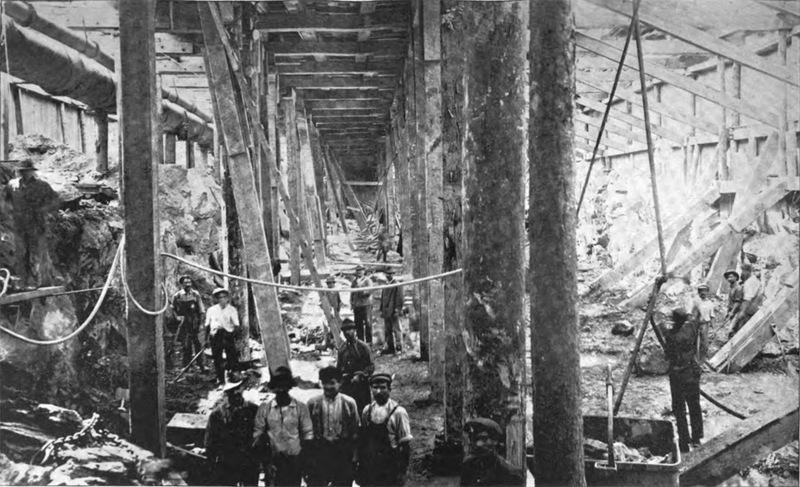 Steam shovel cut as excavated north of Hunts Point Road. Looking south along Whitlock Avenue from Longfellow Avenue. PSC report 1914. Pelham Bay Park Branch. Portal of Pelham Bay Park Branch of Lexington Avenue Subway Where Structure Changes from Subway to Elevated. PSC report 1915. Pelham Bay Park Branch. Structure under New York Central Railroad Tracks, Port Morris Branch. PSC report 1916. Pelham Bay Park Branch. Concrete floor construction and timbering supporting street decking in Southern Boulevard. PSC report 1916. IRT Pelham Line station at 3rd Avenue/138th Street. Photo by John Dooley, September 2011. This is the first stop after leaving the IRT East Side Line. Two island platforms and three tracks. The center track is used for peak direction express service. This station has an unusually high ceiling and seems deeper than usual as it is fairly close to the Harlem River crossing. The only mosaic ornamentation on the trackside walls are a frieze at the top and numeral "3" tablets at intervals (in other words, no name tablets). A closed crossunder is located at the center of the platforms, but crossover is possible via the mezzanine. The northbound platform has an old tower at the south end. Three tracks, two side platforms. This station has typical Dual Contracts frieze mosaics and initial "B" tablets along the tops of the platform walls, and full name tablets at intervals. The platforms are slightly offset from each other, with platform-level exits and fare controls in the center of the station. There is no available crossunder or crossover between platforms. Three tracks, two side platforms. There are typical Dual Contracts frieze and initial "C" mosaics along the tops of the platform walls, and full name tablets at intervals. The platforms are slightly offset from each other, and the exits and fare control are at platform level in the center of the station. There is no available crossunder or crossover between platforms. On the inbound platform there is a closed newsstand which has been tiled over. Three tracks and two side platforms. There are typical Dual Contracts frieze and numeral "143" mosaics along the tops of the platform walls, and full name tablet mosaics at intervals. The exits and fare control are at platform level at the center of the station. There is no available crossover or crossunder between platforms. A closed, tiled over newsstand was on the inbound platform. The area around East 143rd Street Station is generally industrial. Three tracks and two side platforms. There are typical Dual Contracts frieze and numeral "149" mosaics along the tops of the platform walls, and full name tablet mosaics at intervals. There are also mosaic "women" and "men" labels above restrooms that were long since closed to the public. The platforms are slightly offset from each other and curve slightly. The exits and fare control are at platform level at the center of the station. There is no available crossover or crossunder between platforms. A closed, tiled over newsstand was on the inbound platform. Three tracks and two side platforms. There are typical Dual Contracts frieze and initial "L" mosaics along the tops of the platform walls, and full name tablet mosaics at intervals. The exits and fare control are at platform level at the center of the station. There is no available crossover or crossunder between platforms. Museum Low-V train on a fan trip on the Pelham Line at Hunts Point Avenue. Photo by Richard Panse, December 2004. Three tracks and two island platforms. This station is served by the peak direction express trains. The trackside walls have a mosaic frieze and small initial "H.P." mosaics along the top, and there are "uptown" and "downtown" directional mosaics in the mezzanine. A nice brick station house is at street level. This is the last underground station before the elevated stretch to Pelham Bay Park. Not to be confused with Hunterspoint Avenue on the Flushing Line in Queens. Three tracks, two side platforms. The north end of the station has a canopy over the platform, and there is some windscreening along the outsides of the platform. The mezzanine is wood and features frosted windows in a simulated 16-pane pattern. At one time there were doors from the platform to the fare control but they have been removed; doors from fare control to street remain. The station is adjacent to an abandoned railroad station called Westchester Avenue which was served by the New York, Westchester, and Boston Railway, and the New York, New Haven and Hartford. This station is particularly interesting to railfans for its views to the south of trains climbing from the subway up onto the elevated structure, and to the north for a wide, sweeping curve onto the Bronx River Bridge. Three tracks, two side platforms. This station is located on the downgrade from the Bronx River bridge, and provides a good view to the south/west of trains crossing the bridge. This station was renovated in 2010-2011. View across the tracks at the artwork on the platform (The Land Between Two Waters by Maria Cristalli and Marc Brown). Photo by Bill E., January 2011. Three tracks and two side platforms. Renovated in 2010-2011. A treat here is a view of the Bronx River Parkway crossing under the station at the north end. Three tracks and two side platforms. Renovated in 2010-2011. Two island platforms and three tracks. A couple of 1950s style mushroom shaped lights are at the end of the platforms. An interesting feature is covered exits from platform to the middle level featuring a crossunder and windows in a simulated 12-pane pattern similar to those at Whitlock Ave. The fare control is at street level, a large area, which features a painting entitled Live The Dream. There is an escalator from the fare control to the southbound platform, bypassing the mezzanine. The southbound platform has an old tower at the south end. This station is massive and similar to the Queens Boulevard stations on the #7 Flushing line. Artwork Live the Dream, artist unknown. Three tracks and two side platforms. There is a nice view to the north of a long curve leaving the station. Three tracks and two side platforms. Resembles the other stations along the line with a wood mezzanine and no windscreens along the platform edges. Completely renovated 2014-2015. Three tracks and two side platforms. This recently renovation station has glass block tile, an interesting geometric sculpture hanging from the ceiling, and "uptown" and "downtown" directional mosaics in the mezzanine. From the northbound platform one is afforded a good view of the Bronx-Whitestone and Throgs Neck Bridges. Railfans enjoy this stations for its northward views of the Westchester Yard approach trackage. The yard is on the north/west side of the station. Artwork Title unknown, artist unknown. Geometric sculpture in mezzanine. Three tracks, two island platforms. This station has old signs covered up and old-style lights still in working order. The mezzanine is wood and is very dim, lit only with the old-style lights. The only modern touch is sodium lights at the ends of the platforms. The south end is an interesting arrangement of the subway line being over a street bridge which is over the Hutchinson River Parkway. Completely renovated 2014-2015. Three tracks and two side platforms. The platform lights are sodium vapor but the wood mezzanine has only old lights that are quite dim. There are non-working old lights on the platform, covered old signs and two extra exits from the fare control area. Completely renovated 2014-2015. In case you were wondering, the automated announcements on the new technology trains pronounce it "Burr-ay". Two tracks, one center platform, two side platforms. The side platforms, no longer used, are similar to those at Woodlawn and 242nd St., and they may have been used for unloading passengers, with the center platform used for loading. At the south end is a staff-only crossover bridge between the center and west side platform. In the past it also connected to the east side platform but that portion has been removed. At the north end of the platforms are the track bumper blocks, and a crew quarters area. There is also a tower and crew quarters at the south end. The fare control is in the tile mezzanine. There are old style signs which are covered over on the main platform.